I am so excited to welcome award winning children's book author Deanie Humphrys-Dunne to Passion Between the Pages! 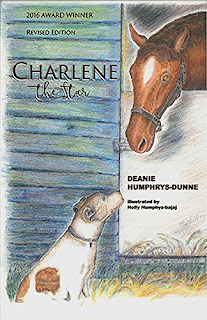 Deanie and I discovered each other through Goodreads.com and our mutual love of horses made us fall in love with each other's stories. 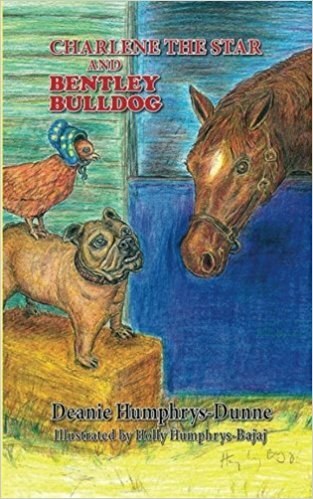 Deanie has written 6 award-winning books, including, My Life at Sweetbrier, a true story about the power of perseverance. Her books have won a number of awards, including the gold medal in the New Apple Book Contest. 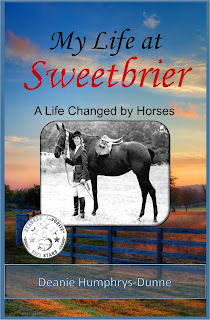 Deanie's personal story My Life at Sweetbrier, which tells of her personal battle with cerebral palsy, and going on to become a champion horseback rider, both touched my heart and brought tears to my eyes. I'll be sharing my review of Deanie's story today, along with an interview with the author herself. GIVEAWAY!! Deanie will also be giving away a digital copy of one of her stories to one lucky reader! The winner may choose between 4 of Deanie's stories: My Life at Sweetbrier, Charlie the Horse, Charlene the Star, or Charlene the Star and Bentley the Bulldog. For a chance to win, leave a comment below. What do you enjoy best about writing? I love creating stories that entertain children and encourage them to do their best. If the readers smile along the journey of reading the story, that’s a plus. My Life at Sweetbrier is a story about your personal experience, battling through a disability and achieving a dream. Was it difficult to open up about this experience and share it with the world? What have you found to be the most challenging aspect of writing about your personal experience, and the most rewarding? When I started My Life at Sweetbrier, the message I wanted to share was clear; to inspire children to persevere through challenges, but I didn’t want the story to seem like it was all about me. With this in mind, I tried to find ways to draw readers into the story so they felt like they were taking the journey along with me. In my view, this was the biggest challenge. At first, I was shy about sharing the story, but my dad always said, “You never know what you can do until you try.” The most rewarding part is hearing from readers who say they loved the story and hearing that they've remembered how important it is to follow your passions. Some of our former students have read the book and commented on the special, happy memories it brought them. You and I both share a passion for horses, something that instantly drew me into your book's world. 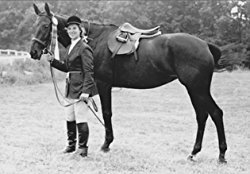 How have horses inspired your writing in general? How have they inspired you as a person? 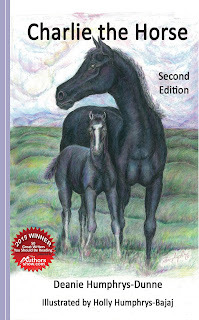 I think because I grew up with horses, they are easy to write about. The horses inspire me because when I remember some of their personality traits, I can use them in my stories. Similar to people, horses have talents and shortcomings. They can remind me no one is good at everything. It takes a special kind of author to write for children, to create the world they can both relate to and be inspired by. Does the ability to write for this audience come naturally to you, or did you teach yourself to do it through study and practice? Thank you for those very kind compliments, Jessica. I think it’s a little of both. It seems to me, you need some degree of natural talent, but most people need some guidance in order to make their work shine. No doubt there are some authors who have so much natural talent, they can succeed without studying the “how to” parts, but I’m not one of those authors. In fact, my earliest assignments writing in school had no conflict. Soon, I recognized how boring they were. Yikes! You've written 6 titles so far. Though I imagine every one of them has a piece of your heart, which one is your favorite and why? Hmm, that’s hard to say. My fictional stories were great fun because they’re told by the animal characters. My sister, Holly Humphrys-Bajaj, did such a fantastic job illustrating them. One of the characters in three of those books was our family dog, Elliott. We gave the dog in the story Elliott’s laid-back personality and some of his skills. But in other ways, My Life at Sweetbrier is my favorite because it’s dedicated to my family, especially my dad, who made the decision that actually changed my life. Who are some of your favorite authors? Have any of them influenced your own writing? I have so many children’s authors whom I love. James Marshall is one. He wrote the George and Martha series of books. They’re so funny and they share wonderful lessons as well. But I also enjoy books by many of my author friends, such as; Ted Cohen, Sarah Mazor, Virginia Wright and Yossi Lapid, Barbara Mojica (just to mention a few). If we add books from other genres, I’d include; Pearl S. Buck, Danielle Steel, and you, Jessica. I was so impressed when I read your book, Dangerous Secret; The Pinnacles of Power. Even the title is perfect for the story. I've noticed while doing my own submissions that many agents and publishers do not accept children's books. Having learned how determined you are through reading your story, I can't imagine you'd let a little thing like that stand in your way! What challenges have you yourself faced as a writer? Any that pertain to writing children's books in particular? Yes, I found it discouraging because most publishers don’t accept children’s books unless you’re a well-known author. After doing quite a bit of research, I decided to self-publish some books. My ‘Sweetbrier” book is published by Monday Creek Publishing, an independent publisher. I think one of my challenges is editing because it’s difficult to find my own mistakes, or areas that need improvement. I look at the book so often, I can’t recognize the mistakes (A bit like the “nose-blind commercial). In my opinion, beta readers and professional editors are invaluable. Another obstacle can be presenting the story in a manner that makes it unique. I don’t think any of the obstacles only relate to children’s books, but I would say if you don’t find ways to keep young readers engaged, they become instantly bored. Perhaps older readers have slightly more patience and may give it more time before closing it up. You are an award -winning author, who has, no doubt, touched many lives through your work. What is next for you as an author, and what aspect of your writing experience (to this point) has given you the most joy? My first picture book is in the process of being written. This will also be my first non-horse story. It’s about an adorable little tractor named Wilbur. Hopefully, little children will love reading his story because they’ll smile often and learn something valuable as well. I love being able to make a positive difference in children’s lives. My parents constantly reminded me I could do anything I wanted if I refused to give up. Not all children get the motivation they need, so I hope to be a good role model for them. Thank you very much for interviewing me, Jessica. Your questions were wonderful and thought-provoking. Best wishes for continued success. And the same to you! Where can readers find you online? Thank you so much for stopping by, Deanie! 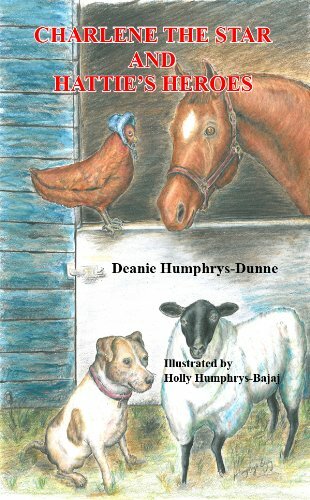 Everyone, be sure and comment below for a chance to win one of Deanie's award-winning stories! Enjoy a snippet from My Life at Sweebrier! Have you ever really wanted to be able to do something, but you came across a road block of some kind? Maybe you're afraid of new things, or maybe you have a physical challenge. Are you going to follow your dream, or are you going to push it aside without even trying? You must make a difficult choice. Instead of taking the easy street, I changed my whole life by choosing new experiences. Whatever your dream is, reach for it, and persevere, because you may accomplish more than you ever imagined. You may even beat the odds, like I did. 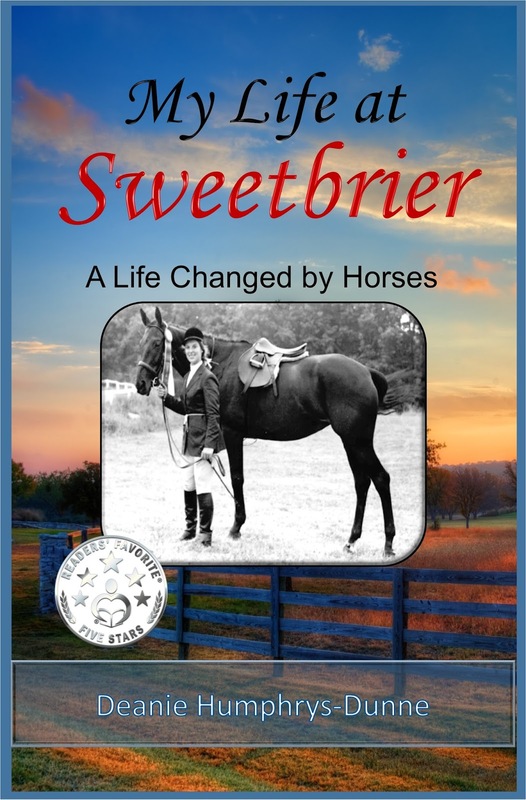 A heartfelt, inspiring story, My Life at Sweetbrier moved me, the reader, in a big way. Knowing that the story was based on the author's real-life experience, I expected a tale full of deep emotions. But as I turned the pages, I felt as though she and I were experiencing those emotions together, as though I was right beside her along her journey. Deanie faces a tremendous challenge from birth, and though she is told she'll never walk, she and her father defy the odds as Deanie fulfills her dream of riding horses and even goes on to win competitions. I love a story with a happily ever after more than anything. This one brought tears to my eyes! Through every obstacle she faces, Deanie never gives up. Her story is one of determination and love and it is truly, truly inspiring!